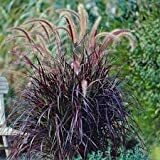 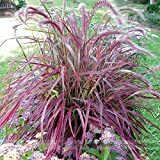 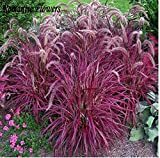 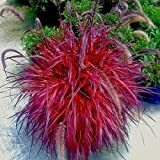 Pennisetum violaceum growing herbaceous of the genus Pennisetum also known as Fountain grass, Pennisetum violaceum perennial evergreen used as ornamental plant can grow in mediterranean, desert, subtropics, temperate or tropics climate and growing in hardiness zone 9+. 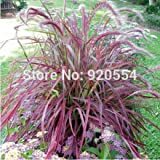 Flower color yellow, purple or pink, the flowers like hair and grow stem in raceme inflorescence. 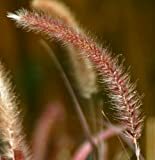 Yellow, purple or pink flowers like hair and grow stem in raceme inflorescence.